Formed in 1997, WMC Incorporated was conceived with the goal of providing customers the best tradesmen supplied with the best training and equipment. The Company was created by Brandon Goodwin and Bill Kuhn with a combined total of over 60 years in the millwright and machining industries. The partners go as far back as playing Little League baseball together. 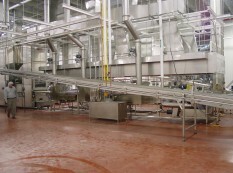 In 2002, Dave Pomeroy joined WMC Inc. with over 25 years experience in the Millwright trade. Brandon’s and Dave’s fathers both also had careers as millwrights. In 2008, Dave replaced Bill as an owner and partner with Brandon. Bill is now employed as the Director of Safety and continues to bring his knowledge of management and safety to the WMC team. WMC Inc. is dedicated not only to providing the best service in the industry We also believe in helping people and our communities. 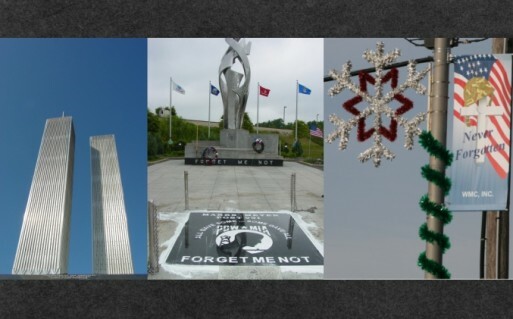 The Veterans memorial in Worth located at 111th and Harlem is decorated with a granite P.O.W. plaque donated by WMC. We have also helped create a snack house for a little league baseball field. Pictured on this page is a stainless steel scale replica of the World Trade Center in New York complete with lighted window that was donated to raise money for the Special Olympics in Colorado. This is just to name a few projects that the crew at WMC Inc. have been honored to participate in.